I have admired swirly quilting for a long time. Do you know Kellie Wulfsohn's work? How about Karen McTavish? And of course, Angela Walters! I have watched Angela in action in her Craftsy class. I also have her book, Free Motion Quilting with Angela. Like she recommends, I practiced with my pen and paper first. I thought I was ready. Here is my test quilting on scraps. Not bad! 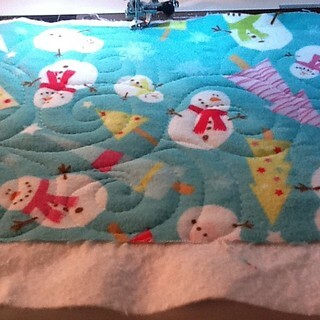 Then I started quilting my Happy Christmas quilt. Oh-my-gosh. This is so much harder than it looks! Good thing my family will still love it and I only have to look at it once a year. Bwahahaha. In hindsight, starting with a simple baby quilt would have been better for a first try. Try different feet. 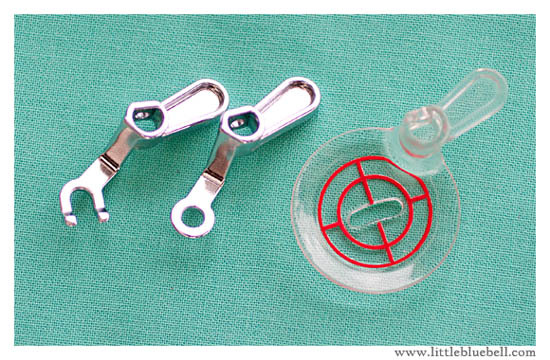 I really like the closed toe foot, but it's different for everyone. Bounce. Yes, this one magical word from Angela helped me so much. Swirl until you come to the edge of something (block, quilt, another swirl) and the bounce off the edge and start another swirl. 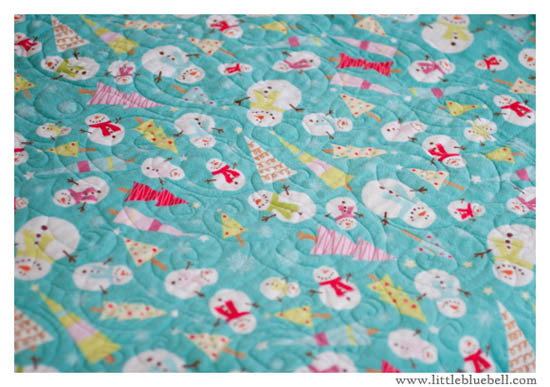 Managing the bulk of a quilt is two thirds the battle - at least! The molding on my wall makes a crack wide enough for the quilt to escape off my extended sewing table. D'oh! I tend to like wider, more open quilt designs, but I found wider, bigger swirls much harder to make look smooth than smaller tighter swirls. 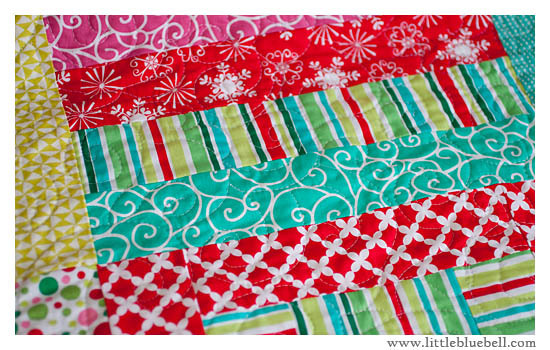 Basically, whatever you can fit in-between your two hands while quilting is perfect. I think it looks great! Thanks for the tip about practicing with pen and paper first! I am going to check out the other two ladies you mentioned along with Angela:) Thanks for sharing! I think your swirls look great! Way to go! We are always hard on ourselves, it looks great!! I have swirled only once and I remember it being such a workout. Your result is gorgeous!! 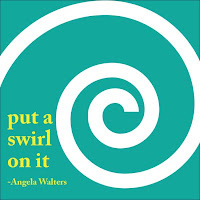 Great Job "Putting a Swirl On It"!! 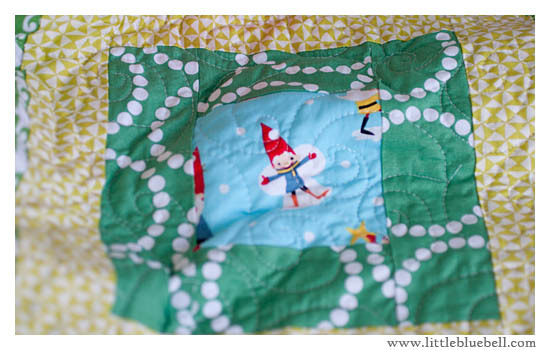 What a cute Christmas quilt that you will be able to enjoy for many years to come!! Great job! !